I pulled into the parking lot at Liberty Loop and there in front of me was a Red-tailed Hawk trying desperately to balance in the crazy wind. 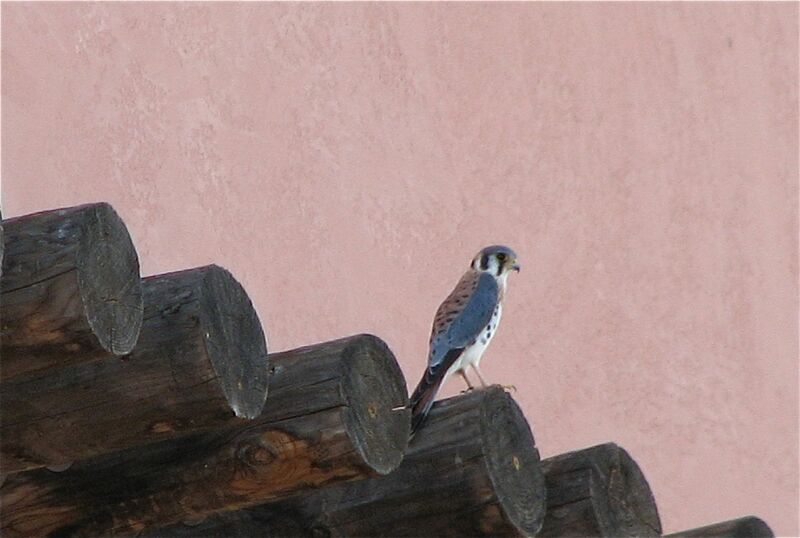 But no sooner had I got out with my camera when a little something caught his eye. Rats! Or rather, Voles! 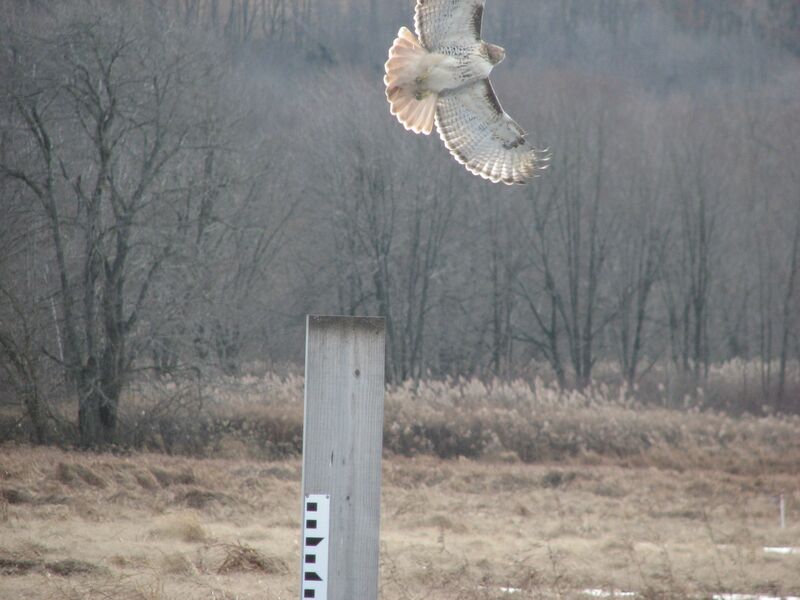 Deciding it was way to cold and windy to stay at the Wallkill, I opted for looking for Longspurs. 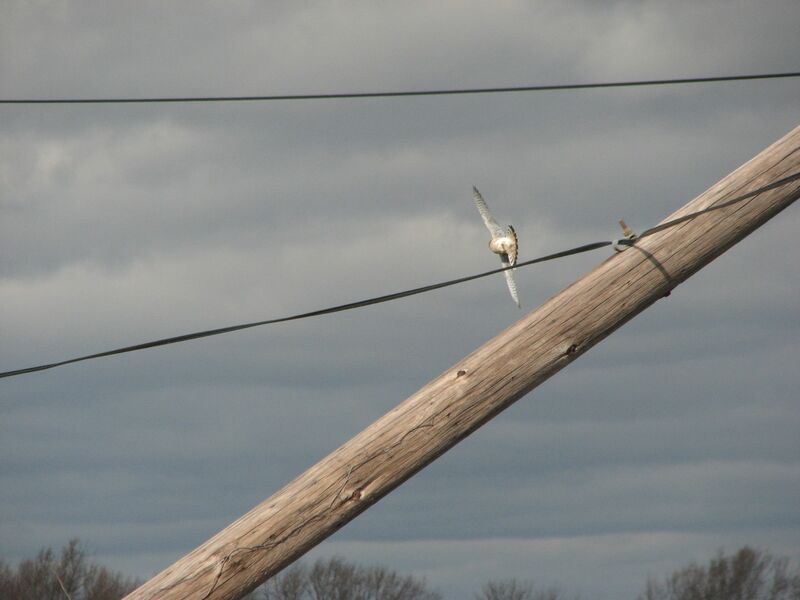 As I crawled up and down the farm lanes of Pine Island, NY, I spied an American Kestrel sitting on a wire. I pulled over and inched along to get a good view, when the same thing happened. 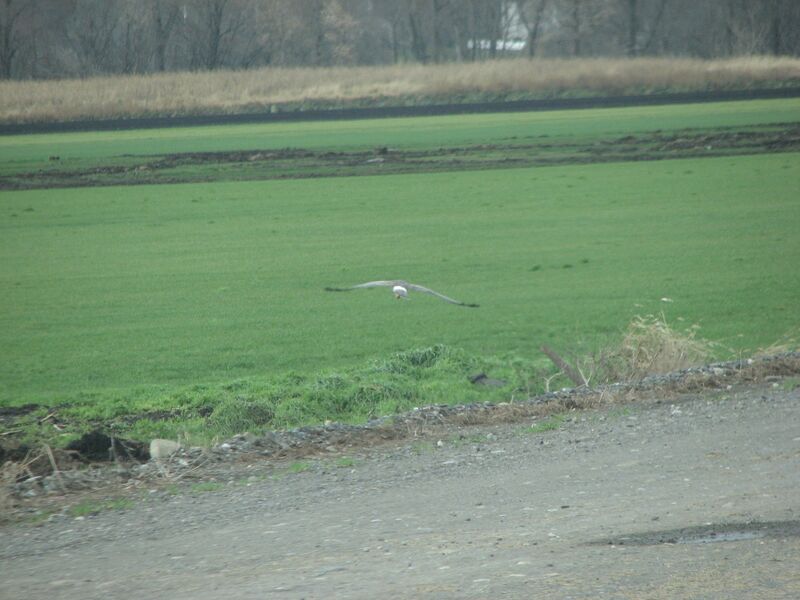 And I am 3 for 3 on raptors flying away when this Northern Harrier, ghosted past.